Yes!!! Everyone has some or all of these. They provide structure, drive, and insecurity! I have been racing for many years and seen many many different approaches to competition and training. Observing some is a learning experience in both positive and negative aspects. Routines are specific orders of events that you go through to be ready for the day or a race. Routines have macro and micro steps. A macro or high level routine helps you to have structure in a fast moving lifestyle so that all of the details are attended to. Micro routines are things like how you get your kit ready for a ride or race, when you make or organize your nutrition, and the order you do things in your day. I have a race day routine that works for me. I know after hundreds of races the tangible things that have worked and what I have time for. When to arrive, when to get my number, when to pre-ride, when to get to the line. Enough routines and they allow you to adapt when the curve comes. Traffic, car trouble, bad directions, etc. You will know what you absolutely need to do and have the muscle memory to do it, even if you need to skip a few steps. My truck once died on the way to a race. I limped it to the house where I was picking someone up. Changed a flat on their truck, drove to the race, had time to ride from the start to the first pit. Crossed my fingers and got fifth with most horrible no-warmup legs. But I lived!!! Habits are learned behaviors that usually result from a desire to change. They take some time to develop and can sometimes come and go. We all know there are good ones and bad ones. Good: eating a healthy varied diet a good portion of the time, good sleep patterns, getting workouts done in a part of your day that works. Good habits are generally lifestyle driven with a long term goal in mind. 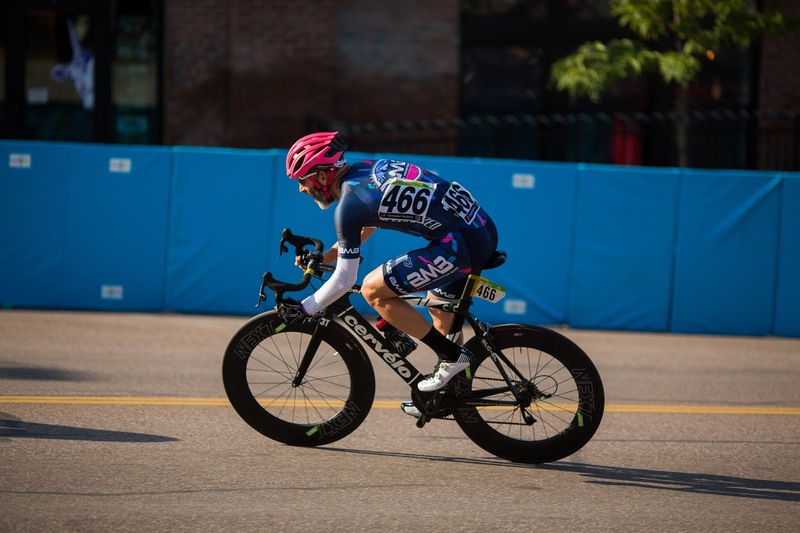 Things like progressing to a Cat 3 cyclist, competing at a high level in age group racing, or even maintaining a healthy weight and blood chemistry. Habits are linked with routines at their start sometimes. I remember 20+ years ago I really wanted to do my workouts early in the day. Get them out of the way before work so a changing work schedule—read crazy boss! !—didn’t force me to ruin my plan. It was hard. But then I bought a new car. I had a tandem driveway and I didn’t want my landlord to have to move the car. So I would get up early, move the car and then go for a ride. It’s funny to think that initially, the desire to ride wasn’t all it took to get going. Add one more thing and the motivation kicked in. Look for these added catalysts to help yourself out. Superstitions are somewhat illogical behaviors we carry out to create a perceived advantage through their existence. They don’t often have a real basis or history. But, in most cases, they provided some response in a particular case and the success or failure was pinned on that behavior. An example is a former teammate of mine who had to have three chocolate munchkins from Dunkins before every race. Regardless of how late we were arriving to the race after driving around trying to find Dunkins. Think about that. He had to have this snack counter to all good ideas about nutrition and it stressed him out to not have it. Analyze the true benefit/reward of your preface or routine activities. Do they make sense? Are they illogical? Reevaluate based on your answers to these questions. When in doubt, bounce it off your coach or a friend. Oh my, think about how often streaks come into play. Zwift gives you a badge for 14/28/76 straight days. You want to ski or ride for seven straight days in the winter. You want to get 365 racing days before you complete 10 years of racing. These all have a patina of cool, but have a foundation in an external stress that you don’t need any more of. If you are tired or have another priority, a streak may push you to make a poor decision. Yes, there are cases when say you are at a camp and you want to maximize work, but life is life. Keep it in balance and make sure the streak doesn’t share some of the bad behaviors of superstitions above. Racing and/or succeeding in a healthy lifestyle are the culmination of many factors. The training, the nutrition, and the balance. Get into good habits and routines, and they will complement your training. If you struggle with metrics or results evaluate not just your training, but the whole lifestyle and look for areas to make incremental changes with leveraged rewards. It’s early February. If you are in New England, it’s like Ben Coleman says: “I’m ready sort of for Winter to walk away”. But, we love Nordic, Backcountry, and our many resorts so we put up with it. 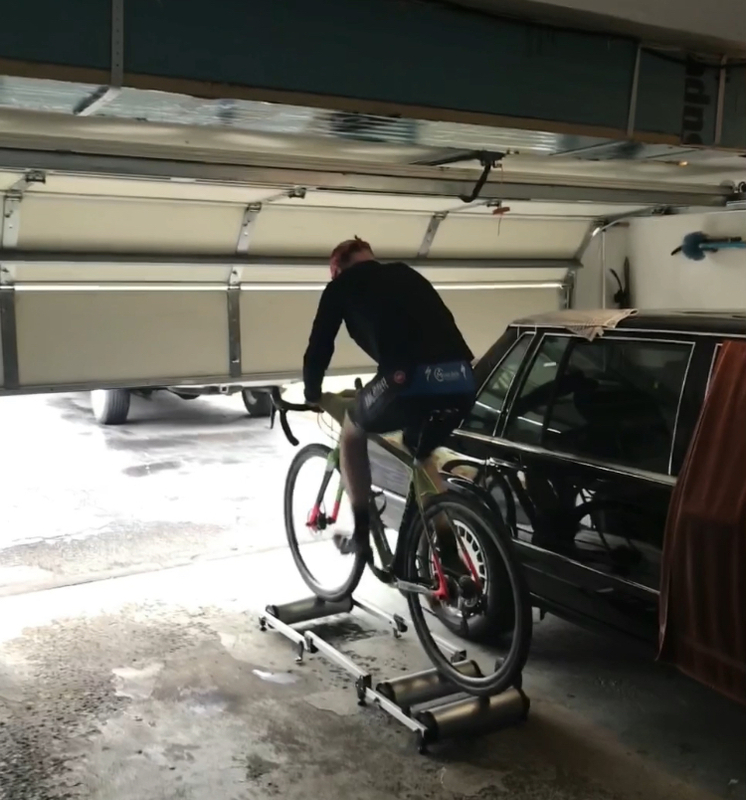 But if you want to enter the bike or triathlon season with some measure of skills, you need to be doing some work in these cold months specific to the sport. That being said, as an endurance athlete, go back to the first paragraph and remember the Nordic part. I absolutely love XC skiing. If I could live on Trapp Hill Rd and ski out the back of the house every day I would. A little non specific endurance activity goes a long way. Especially when it is a sport that uses every single part of the body. If you run and bike a lot, the sideways skating motion strengthens your hips and opens up the stride like nothing else. Skiing once or twice a week makes a huge difference for me. But, you are still going to be riding bikes in the spring. So, sport specific activity is key starting in February to be ready for spring. There are a few avenues you can take. But each start with one basic tenet: you don’t have to do everything, just do something. First option: get on a trainer or some rollers and ride at least an hour, at least four times a week. This can be before breakfast early or when you get home from work. I find it’s best early because no one in my house is up and therefore no one is needing my time. It’s mine. After work, you have activities and meals to make and people may be counting on you. Ride easy at first and then add some intensity but don’t hammer all the time. Second option: get a smart trainer and ride at least an hour, at least four times a week, and ride with the pack. Do some events, maybe pick a few workouts out of the Zwift workout list. Try a few things but mostly it’s about being aerobic and getting the legs moving. As a bonus, pick a weekend day, or another day that works and ride 90-120 minutes. As a goal, check your weight at the start of the commitment to ride and work to see it come down reliably little by little every few weeks. Note: there is a wide spectrum of Zwift users. 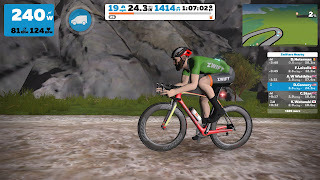 I love the Zwift! I see it as a great tool for riding undulating terrain, and doing workouts where power levels can be held constant. One of my favorites is when you are set to ride X watts, and you start to daydream or lose focus, and your cadence drops...it ratchets up the resistance and maintains constant power even at a lower cadence. It does that by increasing the load. You quickly refocus and get back on the horse! For performance testing, it is also the measure of consistency that is key. Third option: get some professional guidance. With a smart trainer or rollers and a power meter, look up a coach and either get some personalized coaching or an online plan from a coach. This will be comprised of efforts that are well tailored to being ready for spring. You will get help analyzing key power metrics which will then guide you through early season development on a path to success. While some of these options may be a little bit more than you are ready to commit to, remember the key idea: do something and do it regularly. Commit to ride 4x a week for two weeks and make it a habit. It doesn’t have to start with a lot of volume, you just need to do something rather than wring your hands about what you may be missing. Aerobic activity will prepare you for the upcoming season and required race efforts. The aerobic efforts will burn calories and get you toward race weight. Make it simple, or jump in with both feet. You decide. Every spring I start going outside and I forget, “what do I wear today?” So after years and years of trying to remember, I recorded these layers over the past year and made some tweaks. It is so easy to overdress and be miserable. These are geared towards racing, so if training long, maybe consider going one range colder. That way, at lower intensity you can stay warm. As always, experiment with what works best and customize. Layers below work best when using Verge clothing. They make great stuff using modern patterns. There are two exceptions noted below for very specific garments. But buy Verge whenever you can!! 55-65: Dry: shorts, SS jersey, base layer and arm warmers, vest in the pocket maybe if you are feeling chilly. 55-65: Wet: same as above but add light leg warmers if chilly. *Many years ago, I bought a few pairs of baselayer shorts that were sewn inside out so the seams weren’t against the skin. They were made by Andiamo, and they provide just a little more insulation without bulk. Never put on a fleece as an outer layer, as it provides no insulation unless in still air. Still air = no forward motion! This is actually part of old Polartec marketing. “Provides best insulation relative to bulk in still air” or something like that. In most cases, it would just absorb moisture and make you colder. Make things modular if on the bubble. Allow for stuff to be removed if it gets too warm. That’s why leg warmers vs tights are key. Vests that can tuck into a pocket if required. Look at the weather, especially if you are out for 4 hours starting at dawn. Temps can change, and the new weather tools can really help identify how things may change. This is where armwarmers and vests are key. Manage pockets thinking of this. Most of all, enjoy. Conquering the weather makes you feel alive. So I just dove into the electronic trainer game full force. I bought a Cycleops Hammer, and took the rear wheel off my bike. Now before everyone is all like “trainer riding is lame, ride outdoors!” I give you exhibits 1 and 2: it’s -6 F out and my kids have activities at every moment of every day. Riding in the AM on rollers for me has been the way I get things done for a long time during winter. I have been training with power for about 17 years and have been used to that feedback, augmented by metrics in TrainingPeaks. But electronic trainers and Zwift etc are a pretty cool development. And it isn’t that you can ride through a virtual world and have the resistance change while going uphill. (Believe me, it’s only been a month and if I see that climb to the top of the cable car once more...I might lose it). Rather, putting workouts into Zwift and having the software control the power output in erg mode is where the real benefit lies. 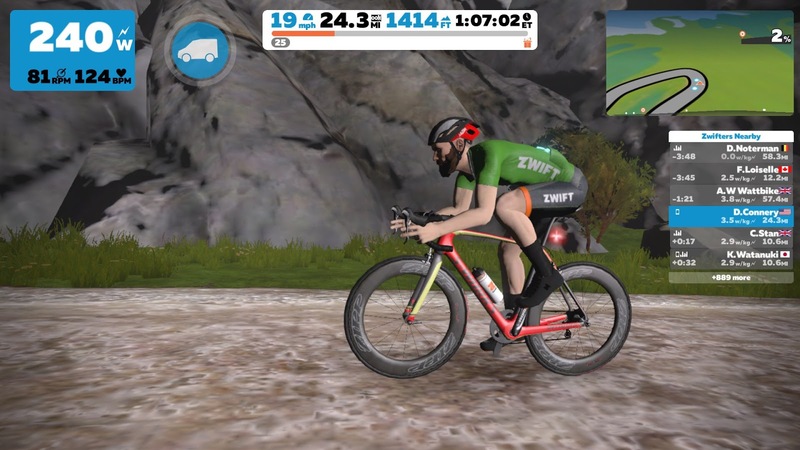 You can connect your TrainingPeaks account and it’s designed workouts with Zwift. If your coach assigns warmups, tempo, warmdown etc in a workout, “erg” mode in Zwift allows you to have the power controlled. I have ridden long tempo blocks and held a reasonably consistent average power. I have watched my Power/HR metric and felt good that it was staying below 5%. But Zwifting a long tempo block is another level of difficulty. When it says: Ride “X” Watts for 20 minutes, it doesn’t know you tire at the end of the set. And since power is proportional to torque, and torque is affected by cadence, when you get tired or lose focus and drop cadence, the electronic trainer ups the resistance to increase torque and keep power constant. This is motivating because if the resistance gets too high...you are grinding it out at low revs! 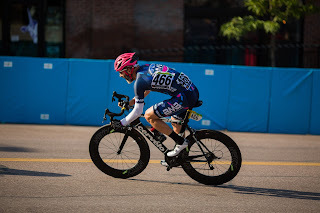 Watching a power number and keep it roughly at the average yourself is not the same as a machine constantly making it exactly obvious that you will ride “X” Watts and that only. So this is where the real benefit of winter training on electronic trainers becomes so much better for getting you fit. When you are pushed to complete sets on target and to the end, you build muscle endurance and increase conditioning. The intensity of the set further drives this home. Riding 10 min at threshold there is more opportunity to fade vs 49 min at aerobic or easy pace. Mixing this strength work up with regular roller rides at lower intensities as well as open rides on Zwift where you can ride with others and sometimes race them is a good diversion. And always, there is the 4th and 5th options: riding on the road when it’s safe and fat biking the local trails. Not everything is easy...or definite. When I was younger, and a Cat 4, I read an article from my coach about planning for the day of the race. What to prepare, when to leave, how much time to allow, etc. I still follow that roughly to this day. One of the key bits of this is arriving at the race and not being [too] stressed out. When you are late, it seems like everything goes wrong. But if you are repeatedly early and on time, you develop a muscle memory for what to do before the race and you know what to expect. This routine becomes tested when life throws you a curve and you have to adapt based on the time left. Like when you arrive 40 minutes before the start of a cross race. So what do you do? Evaluate the nice to haves and need to haves. First of all, you won't arrive at the race magically late. On the way, relax and do a mental checklist. Then...well, you need a number, and you probably need to visit the porta-john. You need to have your kit on and you need that number on your kit. Don’t fuss with warmup and race clothes, just put on the race kit. Then, when you are done with that, you probably have 20 minutes to go. So, pull out the race bike, evaluate the course, put in the right tire pressure and go. No pit bike, no pit wheels. Just go. Ride to the start, maybe ride to the start as fast as you can to get some blood pumping. Evaluate staging and then ride the start so you don’t take the whole field out going left when you should go right. Come back to the start and be there before they start staging. And so it is done. At this point, you are probably thinking “no warmup, ugh! !” but you have one bit on your side: Adrenaline. This cagey chemical in the body is helpful and hurtful. But in this case, it’s getting you ready for the whole ordeal because deep down you are nervous and scared. Both things that excite the adrenal glands. Vocalize to yourself that you’re nervous and then relax and give it your best. One thing that will happen is that the first lap will feel horrible because you aren’t fully opened up. So be patient, and let that happen. On the second and third laps you will begin to feel better and start hunting folks down. This happened to me this past weekend, and a guy next to me that I’ve known for a long time said “Eh, whatever. You have no expectations, you will probably just relax and have the best race. It’s not like you are late all the time, then it would be a problem”. 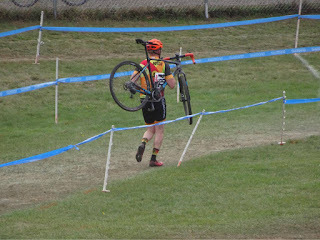 It wasn’t the best race, but what it wasn’t was my worst. I got 5th with a late surge. Sometimes you get thrown a curve, and you have to wait on it, adjust and get to the line. Once on the line, hit it with what you have. Yes a perfect warmup would have been nice, but you are here to race, so practice racing. 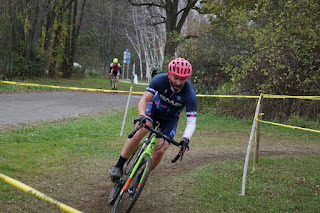 When I was younger, racing as a Killer B in CX, for some reason, I thought it was ridiculous to race the Wednesday night CX training race. I have no idea why. Perhaps I thought it was not enough training volume. Perhaps I wanted to do some “quality training” or “key workouts”. But, in reality, that’s not correct at all. The Wednesday night series that seems to be almost everywhere: Catamount, Fifth Street, Wednesday Night SuperPrestige, or Wednesday Night Worlds at Alpenrose. These are fields of varying ability with one goal: 40-60 minutes of drilling it cross style. When you are done, you have done some quality training. What else? You have practiced the age old skill of turning without falling while riding on the rivet. There is no doubt, when it’s a race or practice race, your psyche knows and puts the game face on. Things are tougher and you can utilize this as a chance to try things. What you ask? Let’s begin at the beginning. Line up roughly where you would for a Saturday race. Listen for the whistle and concentrate on clipping in and getting going. Did you choose the right gear? Did you go hard enough for too long or not long enough? Evaluate the start terrain and make decisions: “Do I need to be in the top 5 before that corner”. How far do you hammer to get off the line? The start is a sprint, and you go into a pretty significant debt. But it takes much longer to recover the longer you sprint. Evaluate how far you go before you settle into the pace of the race. There is usually a sprint, a tussle to get with the group, and then a settle to a pace you can maintain. Push the envelope and see what the results are. Perhaps early in the race you see someone ahead taking a different line and it seems faster. Try that next time. See if it can help you through a corner. Also, concentrate on looking through the corner and not at the post at the exit of the corner. The front brake can be the death of you. Applying it in a corner basically makes you lose a little cornering traction and increases the odds of crashing or sliding out by 709%. Why do you hit the front brake? Because you are coming in at what feels like a pace that is too hot. How do you fix this? I practice a philosophy that my co-worker Bryan preaches: Slow is Smooth, and Smooth is Fast. Next time through a hot corner, approach it slower, physically remove the left hand from the brake lever, but keep the right one in the brake position. Tweak the speed you enter this, and play around with finding a hot smooth line by starting slower. You’ll also give yourself a chance to recover with this technique and as soon as the power section opens up, you’ll be able hit it harder. There are no crossresults points on Wednesday. 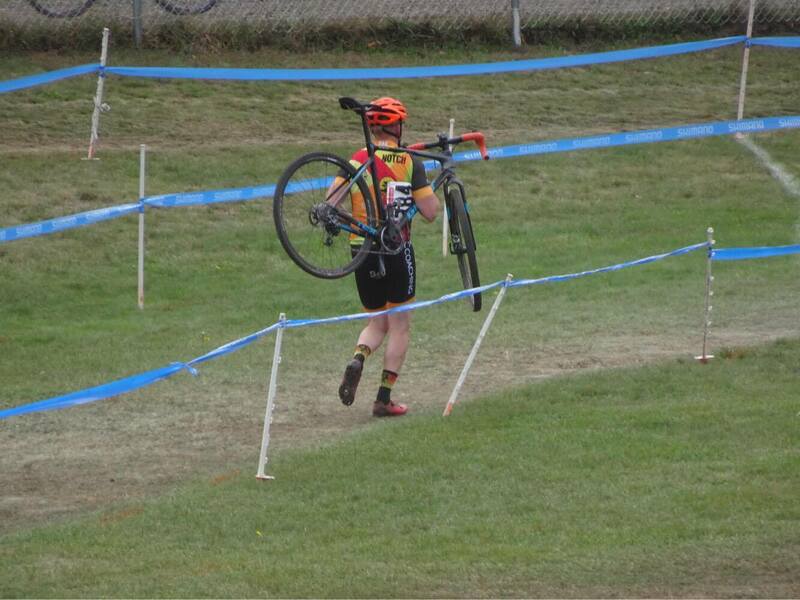 So after you dig too hard on the first lap, sprint too hard out of a smooth section, ride a lap a notch down. Then re-enter the scrum and hit it again. Sometimes hammering all the time is good, and sometimes, you don’t get enough of a clear view of the trail because you are hammering. Taking a break lets you bring the heart rate down, and look at some features at a slower speed, and then attack them on the next lap. Also, coming off of a recovery lap, practice closing a gap to someone as if it was a real race. What if that racer up ahead is the $12 zone?? Practice closing because it’s hard. And don’t worry about people who are going to be pumped that they beat you. There’s no points. And there’s no harm in looking at the long game: Saturday and Sunday. So, in short, there are so many benefits to the weekday race. 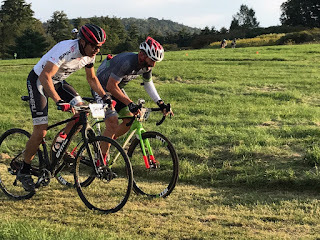 You can practice so much technique in a real atmosphere and make improvements before race day. And who knows, maybe you’ll even get a brat and a beer in the parking lot. Getting to a CX race and getting organized is key to a successful venture. I have been using the same routine for the past few years and it works well for me. Perhaps sharing this will help you get ready as well. I like to arrive so that I can get there and ride the course casually right away. This means, arriving before the race three before you is over. Get there and get your pit bike out and get changed into non-race kit. Put in the required pressure and go to the start/finish. Once the winner goes through, begin riding the course slowly observing tricky spots and opportunities. 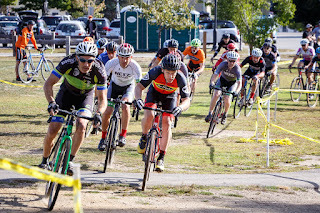 You should be able to slowly get in 2 laps, being careful not to foul racers completing ahead of you, and not run afoul of the officials by riding the finish straight. Once done, head over to reg and get your number. By now, your are less than 2 hours to race time. The race meal should be already eaten. I like to eat my breakfast 3 hours before which is usually oats with walnuts, blueberries, maple and butter. Sometimes a yogurt too. Always drinking water to supplement. In the final 2 hours I like to top off with either a banana, a partial Clif Bar, or an Gojo applesauce packet if I get hungry. Once back at the car, PIN numbers on the race kit and start a warmup. The actual warmup is the subject of another article. But this should be about 1:40 before the race now. Do a structured 20-30 min warmup, and be ready to go back onto the course for 2 hotlaps as the race 2 before you finishes. Identify areas of the course that you need to concentrate on and consider tire choice and pressure. Once this final course inspection is done, things are getting compressed. Get back to the car, get both bikes ready or get the pit wheels ready. Change into race kit and do a some warmup work to stay loose. With warmups on, a bottle in a pocket, and your espresso and untapped maple in the other pocket, bring pit bike/wheels to the pit at 30 min to go. Find an area near the start to stay loose and get ready for callups. Sometimes I will ride slowly or jog a few 50m strides in my riding shoes on the grass. Yes, I said jog. With 15 min to go, take the espresso and untapped and get ready for call ups. Keep the warmups on and hang them on the start fence at 5-10 min to go. The hope here is that you will have a sequence of events, planned with enough time, to get optimally ready with the most self reliance. It is always great to have pit help and jacket handlers, and when they arrive, it's a bonus. If they aren't around, be ready to help yourself with this guide. Nothing ever works perfectly. However, concentrate on the key tasks at hand and be ready for curve balls. The number one thing is to be on the line ready to start. Warmups can vary and food may be forgotten. But keep an open mind and be positive, and you too can be charging to the front effectively when the whistle blows.